Welcome to ezFoundations.com - Providing metal building foundation designs, steel building foundation designs, anchor bolt plans, design calculations and more. 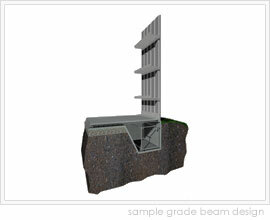 We guarantee precision with the use of the latest, state-of-the-art drafting software. Our experienced metal building engineers can design foundations right for your project, saving you time and money. We stand behind the quality of our work. With over 20 years of diverse engineering experience we only design to the highest of standards. We provide an unparalleled level of excellence. We guarantee your plans will meet or exceed your jobsite building code requirements. 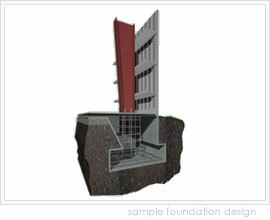 Shallow Foundations: This is for good soils. Column reactions and cleanness will dictate the best construction type. 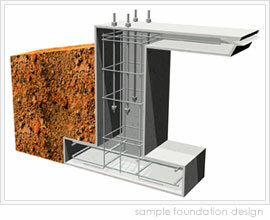 Deep Foundations: This is for bad soils or heavy column reactions. Geotechnical engineer or soil engineer usually prepares a report on the soil condition and recommends the best type for your site.